Phase two orthodontic treatment is the second stage of treatment of the two phase orthodontic treatment. The two phase treatment is one of the most widely used types of orthodontic treatments for children. It is focussed on straightening your child’s teeth and creating a functional bite. This eventually helps improve your child’s overall oral health and smile. These become excessively difficult to treat at a later stage in life, and are best corrected with the interceptive treatment or phase one treatment which spans over 6-12 months and is followed by a brief resting period. During this period, the permanent teeth are allowed to erupt naturally. Post this, phase two is prescribed based on your child’s orthodontic needs. What is Phase Two Orthodontic Treatment? Your child is prescribed full braces in the upper and lower teeth based on his or her requirements in the phase two orthodontic treatment. 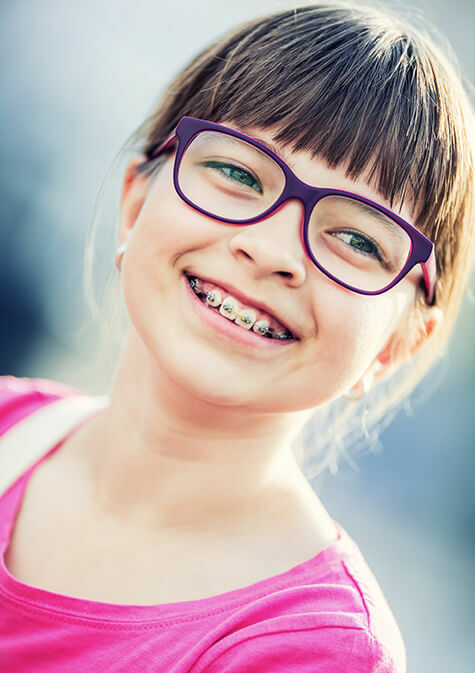 If your child has undergone phase one treatment at Putnam Orthodontics with Dr. Pai, he or she is sure to experience an easier and a shorter time with braces in the second phase. We offer different type of braces and aligners, so you can choose based on your requirements and budget. We offer traditional braces, ceramic braces, Damon braces and clear aligners like Invisalign® for teens. The phase two treatment is generally ideal for kids between the age of 11 and 15 years and it usually lasts for 12-20 months. Retainers are usually worn after this phase to ensure that your child retains his or her enhanced smile. Take the last step towards your child’s perfect smile with phase two orthodontic treatment at Putnam Orthodontics and rest assured that you will see real results in the most optimal time.